What you would expect from a hotel is generally a clean room, hot water, air conditioning or a good breakfast. On top of that, if it is eye-pleasing what you can expect more? More than any of these are the museum hotels that promise us a unique stay. You can enjoy the comfort of staying in a museum hotel and find yourself in a historical atmosphere. It is a wonder where history will greet you in these hotels. Sometimes a very well-known person previously stayed in the room you are staying, or sometimes it contains a 2000-year-old historical monument, and sometimes the courtyard where you have breakfast has a significant architectural feature. Here are eight museum-hotels that stand out with their grandeur and history in Europe! Located in Amsterdam, Sofitel Legend The Grand Amsterdam was built in the 15th century. The building is still under protection. It was initially used as a monastery and later as a municipality. The hotel offers historical suites in different categories. Famous people like Willem Van Oranje, Maria De Medici and Wilhelm V have stayed in these suites. The hotel also hosted the wedding ceremony of Queen Beatrix of the Netherlands in 1969. Besides, the hotel has three presidential suites, named after the mayors of Amsterdam, Ivo Samkalden, Wim Polak and Ann Thane. 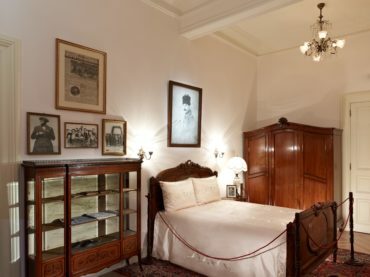 Located in Barcelona, the Claris Hotel has been converted into a hotel from the Vedruna Palace in 1892. The interior design of the hotel has striking colours. The front facade attracts attention with its neoclassical appearance and interior spaces with its avant-garde trends. The Claris Hotel is indeed a museum hotel because it is possible to see many works belonging to the past centuries. Inside, there are mosaics, old artefacts and many other pieces. A total of 400 artworks are exhibited in the hotel, and some of the artworks are in the guest rooms. The Swinton Park Hotel is located in the UK and has unique amenities. There are 31 rooms in this place which is the castle hotel. The hotel is also one of the highest star hotels in Yorkshire. This particular place, where the Cunliffe-Lister family lived, was built around the 13th century. Here you can feel the culture of the royal family while you have romantic moments! 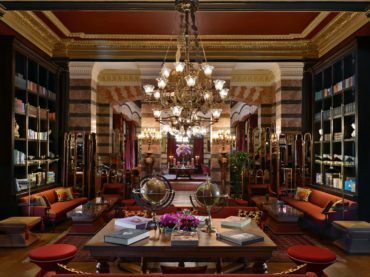 Pera Palace Hotel, which is located in the most beautiful corner of Istanbul for almost 120 years and which is virtually challenging to history, hosts many principles and is also one of the rare museum hotels in our country. Pera Palace Hotel is a museum-hotel due to its rooms full of memories of its famous guests and alongside the museumized rooms of Atatürk and Agatha Christie; The Greta Garbo Suite, decorated with roses and silks, features the Ernest Hemingway Suite with Hemingway books, the Pierre Loti Suite with a view of the Golden Horn and Pierre Loti, and provides guests with the opportunity to visit the pages of history. St.George Residence, which is indeed a museum hotel, is a member of the Association of Historical European Hotels. The hotel was built 700 years ago, but it has been rebuilt several times. It took its last look in the 17th century. The hotel got its Baroque form at that time. This place has been the centre of life for the upper class at certain times in history. In the recent restoration work, attention was paid not to disturb the original of the ornaments and frescoes. Schloss Fuschl Hotel which was built for the Bishop of Salzburg in 1450, is located in the historical heritage list of Salzburg. The hotel is located in a castle on the banks of Lake Fuschlsee. For many years, religious leaders have visited here. The villa has changed hands many times throughout its long history. During the Second World War, the Minister of International Affairs of Germany Joachim Von Ribbentrop stayed in the castle. Therefore, many meetings of the Third Reich took place here, and Adolf Hitler visited it several times. Many famous films were also shot here. Guests still have the opportunity to see the works exhibited here and the rich art collection. Hotel Alfonso XIII, one of the luxury hotels in Spain, is located in Sevilla. The hotel was built at the request of King XIII Alfonso of Spain. The hotel was named after the king. The hotel design is designed with essential artworks and valuable accessories. The hotel courtyard is of great importance for Andalusian architecture. Hotel Stefanie is the oldest hotel in Vienna with a 400-year history. It is located in an elegant and straightforward building with small square windows. The hotel regularly organises exhibitions. Valuable artworks and antique furniture can also be seen inside. The hotel is also well located for walking around the city and exploring the historical sites.